We will need two important software binary installers. 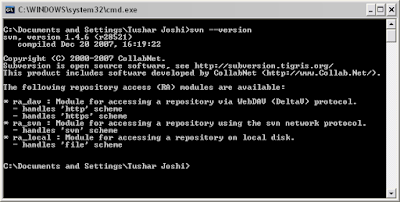 Subversion the repository server binary and TortoiseSVN a windows shell client for Subversion. 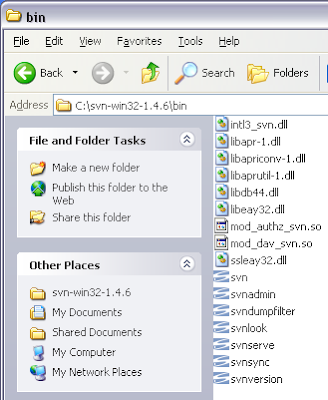 I will copy the svn-win32-1.4.6.zip file which I downloaded into C: drive and will ask my 7Zip shell extension menu to extract the file right into the C: drive. I will need the Subversion binaries to be in my windows path so NetBeans can find them and use them. I will copy the path of Subversion binaries. This will show me a dialog box for Environmental Variables. Here I will click the PATH variable and will choose the Edit button to add one more entry for the Subversion path. 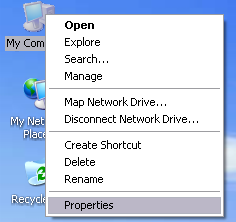 The paths in windows are separated with semicolons; so I will remember to add a semicolon before the path. To check whether my Subversion binaries are really available in the windows executable path I will open a command prompt and type svn --version. This command will show me details of the installed subversion. 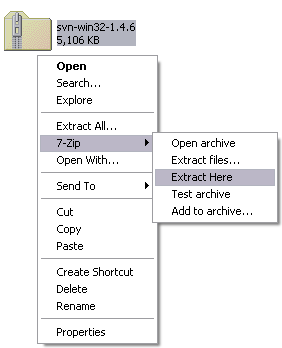 Note that Subversion is installed just be copying the ZIP file and extracting the archive. 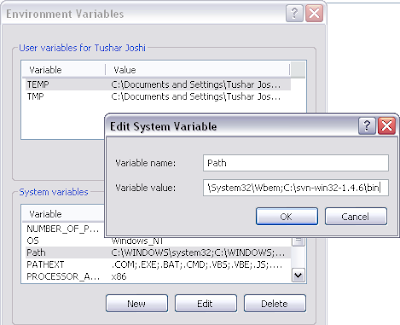 Then the bin path is added in the windows PATH environmental variable. 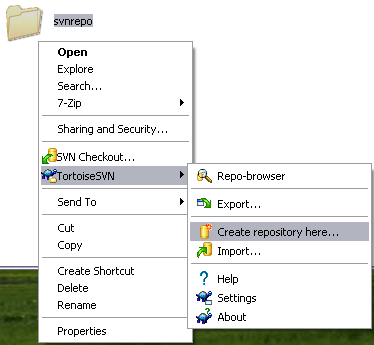 To create a new repository for my local use I will use the TortoiseSVN windows shell extension client. The local repository can also be created through a command line without using the TortoiseSVN client but through TortoiceSVN it becomes easier. I will create a new folder named svnrepo in C: drive. Then I will right click on the folder choose the TortoiseSVN > Create repository here... option and the repository will be made for me. 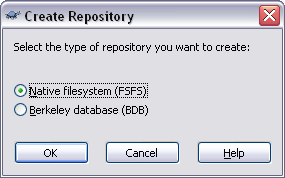 Tortoise will ask which type of repository is wanted and I will keep the default Native filesystem (FSFS). Now I am ready to use the subversion version control system in my NetBeans IDE projects. Let us open the project in NetBeans and right click on the project name. NetBeans will ask where to keep the project, i.e. the path for the repository. There are many ways to describe the paths for Subversion repository and they depend upon how the repository is set and on what protocol it is available. As we are using the repository locally we will have to use the FILE protocol. So I will type file:///C:/svnrepo as my path for the local repository. I must specify the message for checking in the project into subversion repository. 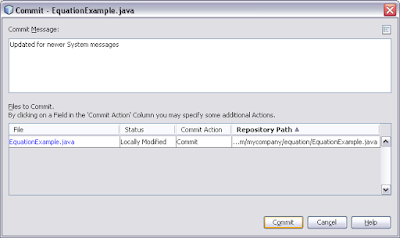 NetBeans shows all the files that will be checked in the repository when the wizard completes. I will click the finish button and the project will be added to the local subversion repository. NetBeans shows a visual clue attached to the project icon showing this project is now under version control. 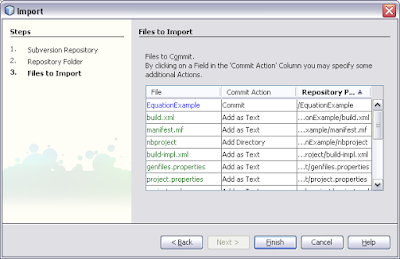 When we are done with the updates we right click the file and say Subversion > Commit and NetBeans offers dialog box where we have to type the commit message and then the file updates are stored in the source control repository. 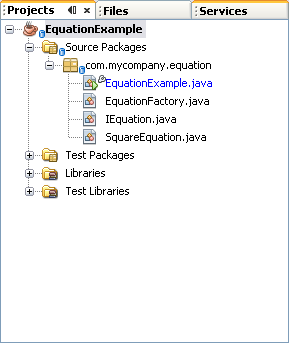 This is how NetBeans makes it easy to manage the project in a local source control repository. There are many more features of the Subversion repository we shall explore one by one through future posts on this blog. This is *super*!! Thank you so much! Thanks Tushar! it Helps me a lot..
Buscando por ahi encontre un videotutorial que esta buenisimo. This is a very useful information and helped me a lot, but I want to setup the repository on server where all the developers can use it in network. Could you please suggest me the way to configure this setup on Server in a local network. You are talking about setting up a SVN repository on a machine to act as server and using it from client machines to checkin checkout code. This is beyond the subject of this blog. You can get answers on StackOverflow.com very easily. I was recently trying to learn using svn with googlecode and netbeans. I came across this problem which seems to have stuck me. What do we need to do if we want to stop a project from being under revision control. 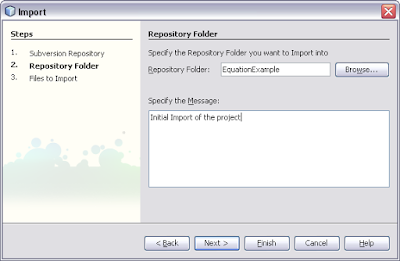 If your project is in SVN repository just using EXPORT command from SVN command set will export your project out. This exported project will not have any version control metadata and that literally means it is out of version control. 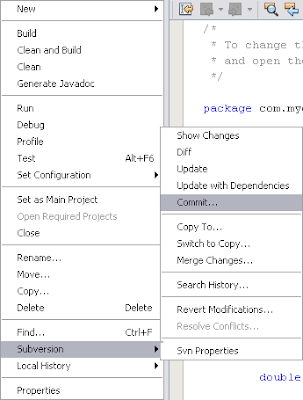 If you are using TortoiseSVN there is a context menu for exporting project out.